Discover a world of possibilities with the Mayan Resorts Vacation Club. Relax in total comfort in spectacular settings: Acapulco, Mazatlan, Nuevo Vallarta, Puerto Peasco, Puerto Vallarta and Riviera Maya and lock in incredible savings too! Everything at Mayan Resorts is designed to enhance your vacation pleasure. Enjoy spacious accommodations, world-class restaurants, golf, tennis, a high level of services and amenities, programs for children and themed events. Mayan Resorts offers a range of properties to fit your vacation needs and budget. Stay at the luxurious Grand Mayan, elegant Mayan Palace or family-friendly Mayan Sea Garden. 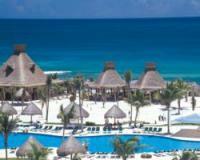 Consider the advantages of Mayan Resorts Vacation Club ownership. Bonus weeks, Specials, minimum of 20% discount off green fees and cart rental.